I am master of a few skills: a digital and brand strategist, writer, storyteller, YouTuber, content creator, consultant to mention a few and many more. I love food and also love to travel. I hope you enjoy navigating through my website and reading my engaging write-ups. Want to talk business? Hit me up. I am the founder of Hexal Place, a digital agency connecting businesses to their audience online and offline. I have 10 years professional experience working around technology, digital communications and non-profit. I love to tell stories of women, young entrepreneurs and of my travels on my YouTube channel. I share social media tips for non-profits and SMEs across my social media pages. I am passionate about women and girls issues and believe we need more of them to to take up STEAMD skills. I have been creating strategies, managing accounts and executing digital media campaigns and projects for 10 years. I write for brands, develop content strategies, research and also kinds of reports. I make beautiful PowerPoint slides and presentations too. I basically love to think for brands and people, develop processes and create workable action plans for every and anything. Oh Lord, I want to stop a lot of NONSENSE in my life. I don't understand this English speaking trend in new Yoruba movies. E wo ni kati kati na. 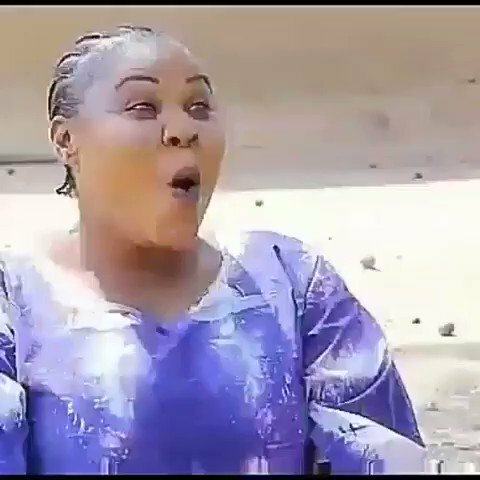 This movie on AFMAG Yoruba is 70% English and 30% Yoruba.. Happy birthday @gboukzi of the universe, the Master Strategist, Mr Fixer- fixit. Do accept my best wishes.